This Waiting on Wednesday is, "Girl Online," by Zoe Sugg. 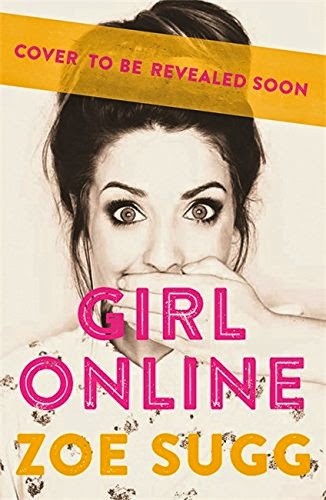 "GIRL ONLINE is the stunning debut romance novel by YouTube phenomenon Zoe Sugg, aka Zoella. But Noah has a secret too. One that threatens to ruin Penny's cover - and her closest friendship - forever." I am a huge fan of Zoe and was very excited when she announced her new book! I really can't wait :) great pick!! I absolutely love Zoella! I didn't know about this book, but I'll definitely have to read it when it comes out. I love her too! Thanks for visiting!